At the weekend we had two re-traps at Alba Marshes. 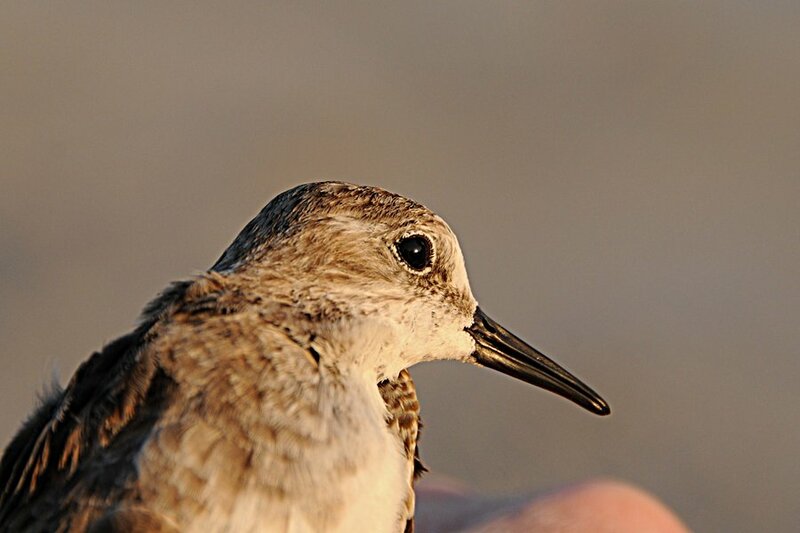 One was a juvenile Little Stint ringed by me the previous week (2646742) which weighed 17.5 grams this week compared to 19.7 grams the week before. The bird looked in good health, even if it had lost a bit of weight, and was trapped at the same site as last weekend. The second bird was a Clamorous Reed Warbler that was ringed in April 2011 at Alba Marsh as a first year female (it had a brood patch). This is the first Clamorous Reed Warbler re-trap from Alba Marshes, where about 16 birds have been ringed this year and indicates that birds are site faithful, at least for breeding, but may move small distances in post breeding dispersal as bird numbers fall at Alba Marshes in the late summer. 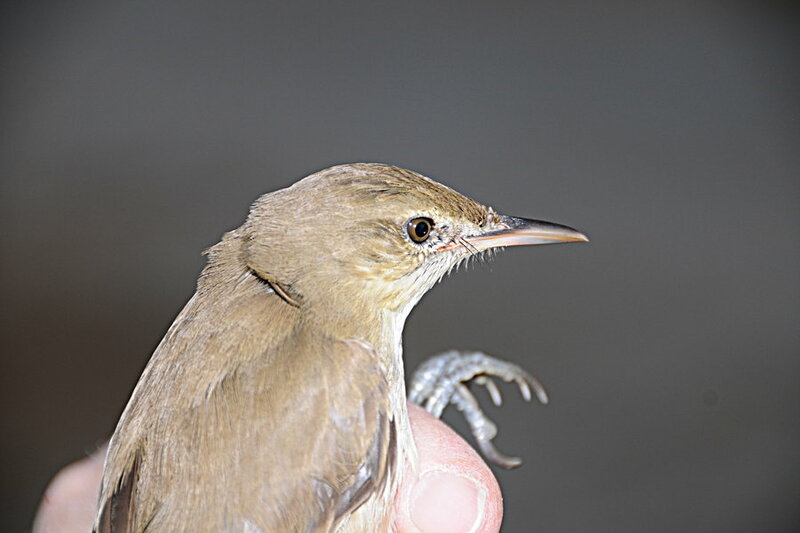 It will be interesting to see what other re-traps we get from this site during the winter an spring as this is the peak breeding season for Clamorous Reed Warbler in Bahrain and Saudi Arabia.